I'm currently working on a game called Ice Trap, which is my second game created with Corona SDK. It's a level-based physics puzzle game that brings a mix of action and strategic thinking to the table. The game engine is pretty close to being finished, but work still remains on additional levels as well as putting everything together into a complete package. Hopefully I'll be able to release Ice Trap for iOS and Android before Christmas, but it might be a bit optimistic since I'm aiming to make a great game rather than just rush it to some imaginary deadline. I'll post some updates about the game's progress here in this topic, but you can also follow me closer on my blog http://bitstopixels.blogspot.com/ where I blog not only about Ice Trap, but also about mobile development in general and Corona SDK in particular. Finally, some screenshots! I'd be happy to hear what you think about the design, which I can best describe as some kind of a "retro-inspired mix of pixel art and simple geometrical shapes". Thanks Rob! Yeah, the gameplay feels really good already I must say, but there's a lot of work still to be done. Thank you! :-) I'm happy to share my knowledge as well as parts of my code, which is what I'm trying to do on my blog. You can already find thoughts and code examples on topics such as sprites, image sheets and frame rate calculations. Anything in particular you're interested in? Just let me know and maybe I'll be able to help. Just finished creating a new app icon for Ice Trap. This is probably pretty much what it will end up looking like when the game hits App Store and Google Play. Unless everyone I present it to hates it of course... Any comments? Hi Markus this project looks like alot of fun well done. Regarding the icon, I think the pixel art character is great. My first thought was the icon was a bit harsh on the eye. This may be to do with having a gradient background with curves and pixel art (square edges) together. On first look I couldnt really make out the character easily. Hey. Just wanted to say, "I think it rocks that you've created a level editor to make your levels with." Just finished my first little teaser video for Ice Trap. Being a programmer it took quite a while to find all the right (free) video editing tools to get the job done... Screen recording using iPad and QuickTime. Cropping and trimming in Avidemux. Finally Windows Live Movie Maker to put all the pieces together. Edited by Markus Ranner, 04 November 2016 - 02:42 AM. Ok, so I've realized that completing Ice Trap before Christmas according to my initial - very optimistic - time plan is not doable. The game is taking steps in the right direction almost every day, but Christmas is only a few weeks away now... No new release date planned yet, but sometimes during the first half of 2017 seems reasonable unless something goes terribly wrong. Hopefully already during Q1 2017. Last week I performed a little level review and removed all levels that I didn't see fit the game for one reason or another. Quite a lot of them went into the trash, but more than 100 levels still remain that will probably make the final game. Another thing I found myself implementing the last couple of days is a concept I choose to call "level keys". 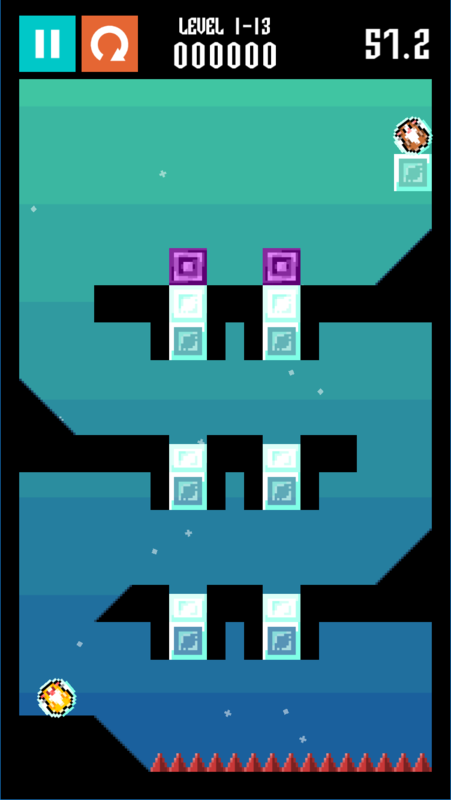 In a level-based puzzle game like Ice Trap it feels extremely important that the player never gets stuck on a level without any way to move on in the game. This should normally happen when a player doesn't understand how to solve a specific puzzle, but it could also happen because of poorly designed levels, or bugs. This is where level keys come to the rescue. 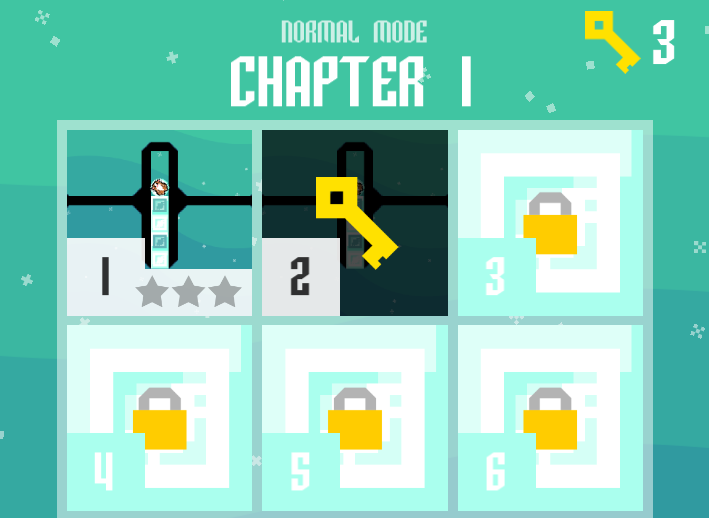 A player starts the game with a few keys that can be used to unlock the next level if necessary, and new keys can also be earned while playing. Hopefully this will prevent players from quitting the game out of pure frustration. If you feel like participating in beta testing or just get notified about release dates, you can sign up at http://marada.se/icetrap/. I'd really appreciate your help! Happy coding! Just finished implementing a module to reward loyal players for coming back to play every day. I use it in Ice Trap to reward players with a couple of level keys each day, but it's completely configurable for any type of rewards. Anyway, the latest news is that v1.0 is finally getting pretty close to being finished! Basically just a few bugs, improvements and some configuration left before I can get the game ready for beta testing and soft launch. If that goes well a public release will be scheduled as soon as possible. If you're curious about any specific things in the game, for example how I've solved certain things with Corona SDK or other tools, just go ahead and ask me. I'll be happy to help any way I can! You can also check out my dev blog which I update occassionally with Corona specific stuff, such as this post from yesterday about creating full resolution iOS screenshots. Or you can visit http://marada.se/icetrap for some more detailed game info, including an extended gameplay preview video. Oh, by the way, I decided to make Ice Trap "iOS first" a while back to be able to finish the game faster with a better focus on a single platform. If the iOS version is received well, an Android version will be released not long after. Hope to get some feedback from you guys! really cool - Looking forward to try it! Liked the post about the screenshots as well! It's really great to be able to create them from the simulator. Clever idea about the key binding. Thanks for sharing, will definitely try it in my code. I have OneDrive activated on my Windows machine, so pressing Alt-PrtScr saves my screenshots directly to the OneDrive folder. However, the farfetched two-key combo makes it difficult to take quick sequences of screenshots at the exact right moment. 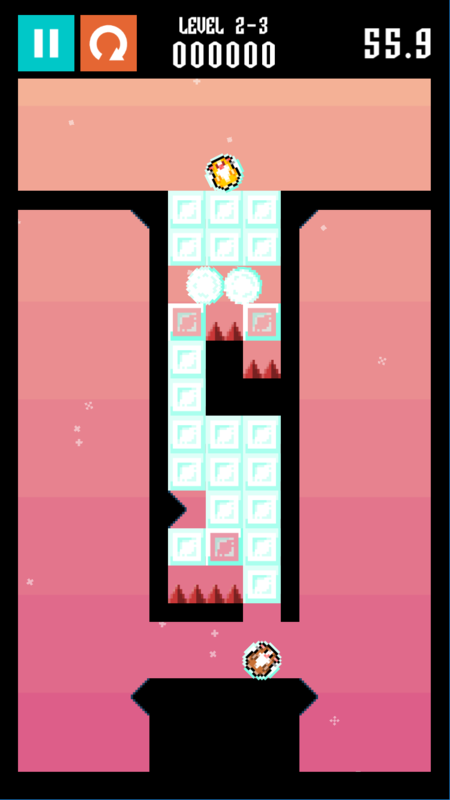 I decided to add some glowing borders to highlight unfinished levels in the level selection of Ice Trap recently. A couple of rainy days later I added up with not only a glow effect, but a customizable extension to the transition library: transition2! If you're interested you can read more about it at bitstopixels.blogspot.com/2017/06/transition2-extending-coronas.html. There you'll also find a link to the Github repository where you can check out the full source code to play around with it. I would love it you want to try it out and let me know what you think about it! If it turns out to be useful to other Corona devs I'll definitely consider extending it with more transition functions and turn it into a Corona plugin. I've started planning for a soft launch and beta test period which will hopefully start during the summer. If you're interested in participating as a beta tester for iOS, don't hesitate to sign up at http://marada.se/icetrap/. It would be of great help to get some feedback from other Corona devs. If you're only running Android you can still sign up, but an Android beta version will not be available until after the iOS release. One of the latest minor improvements is that I've added a "confetti cannon" effect to the level completed scene when the player achieves three stars rating. Created using transition2 and the new fallingLeaf() transition. Nice! I've signed up for the beta. Great confetti! We do something similar in Botheads, but really like the wind feeling in yours. Yep, Botheads was actually one of the sources of inspiration for the confetti. Seen it in some other game too recently, but I figured there can't be too many games with a confetti effect! Hasn't been much game dev for me the last few weeks, but now I'm trying to step it up again. Started implementing a new in-game currency called "Guineas" in Ice Trap recently. Guinea pigs + this old real world currency made for a good fit for the game. Guinea coins will replace the original concept of "level keys", which I first thought would be enough. However, as the game has moved forward I've come to realize that I want to be able to reward players for different things, and probably also unlock other stuff in addition to levels, such as hints, new episodes, and so on. I know it might be overkill to have a virtual currency in a game like this, but I figured it's better to implement it right now anyway to give myself more options later on in case I decide to continue working on the game after it's been released. As I'm writing this I'm working through all my levels to add some Guinea coins that can be picked up by the player. 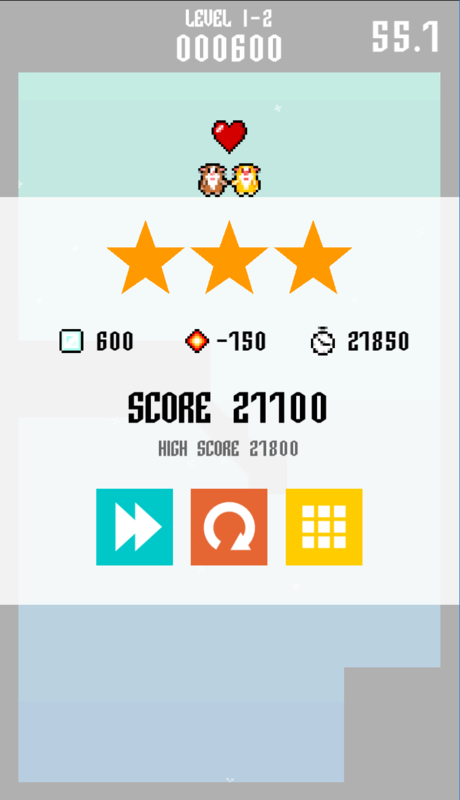 The player will also be rewarded with Guineas for playing every day, and for completing Game Center achievements. These devblog posts are awesome.